Diary of an Incompetent Soprano: Another milestone reached and what do I want to talk about?....John "flipping" Rutter. So, here we are at the quarter century of diary entries. Whoever would have thought I would have enough of this trash to fill that many! I am celebrating this fact by writing this in Purley Cross Tesco's Costa overlooking the veg display with the dry ice thingy in it. I have my favourite sandwich (Emmental and mushroom - no mistake this time! See [title of show] is the title of show?.....My brain hurts for details) and THE best Christmas coffee, discovered by myself and Madame Giry whilst in Milton Keynes with the Phantom of the Opera tour (that tour had some plus sides), the salted caramel latte (sans cream otherwise I would undo all the good work I have done with Zumba and Body Combat). This would be my idea of heaven if I was not in Tesco but, hey, you really can't have it all. Right then, Rutter! I promised in the last entry to talk a little more about the concert I did a couple of weeks ago. To be fair there is no more to say about my contribution. If you blinked, albeit twice, at the wrong time you would have missed me so I have eked all possible dirt out of that aspect of the concert. However, there is more to say about my good friend Helen Withers. She had the joy/misfortune, depending on your thoughts about Rutter (the old Marmite adage comes in to play here), to be the soprano soloist in the concert's second half offering, Rutter's "Requiem". I am not a Rutter fan. I don't like Marmite either. In fact I would go so far as to say I loathe the stuff. Not in the way I used to hate gin, coffee and olives, all of which I love now. I will NEVER like Marmite. Oh dear, I must tell you, a woman has sat down on the table adjacent and is eating her sandwich with her mouth open. I can not stay here. I must leave before I am arrested for murder! I will return shortly. 3) To hear a bit of Rutter live. It occurred to me that I had never actually listened to a whole choral work by Rutter. This is partly because, up until this moment, I had refused to. Having heard the terrible word setting of his version of "All things Bright and Beautiful" I just could not bring myself to let my ears be violated by his schmaltzy mediocrity. I had been totally put off by the line "all creatures great a a and small" have a listen and you will understand (or not, if you are a fan). Now you may think "schmaltzy mediocrity" is a little harsh but I was 18 when I first heard examples of his work and, of course, I knew everything so surely everyone would agree with me! If not it must mean they were totally stupid. I no longer feel the same. He is still never going to make it onto any playlist on my iPod but I do "get it". I understand the appeal and would never think anyone "stupid" for enjoying his back catalogue. Helen and I were at the Guildhall School of Music and Drama together where we both survived the opera course from 2000-2002. 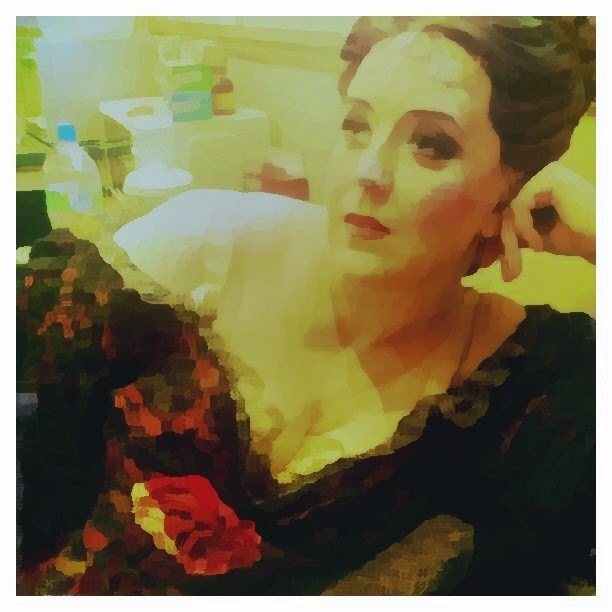 She was Dorabella to my Fiordiligi in "Cosi fan tutte" from which the more knowledgable among you may deduce that Helen might have been a mezzo once upon a time (not necessarily as I know sopranos have been known to do this rôle too). However, you are right, she was, but she has worked hard and made the transition to soprano and is an awful lot better than she thinks she is! In my humble opinion she should never be out of work but then I could say that about a lot of people, probably some of you reading this right now. I urge you to click on the following link, that will take you to her website, and have a listen to some of her music clips to see what I mean. I won't embarrass Helen further with anymore gushing opinions concerning her talent (that sounds rude doesn't it? I think you know what I mean though) but I wanted to share with you the way age has helped me to become more tolerant of those things I would, in days gone by, refuse to give any sort of a chance to. This does NOT apply to Marmite, though, and never will. Oh, by the way as we are into December now it seems only right that I leave you with the link to the best rendition of "O Holy Night" you will ever hear. I have been bothering people with this on Facebook so chances are you have heard it. However, if not, you HAVE to listen to the end. Do not think you have heard enough by the end of the first chorus it gets SO much better. O, Holy Night - you are welcome! A Busker's life for me? Um.....probably not.